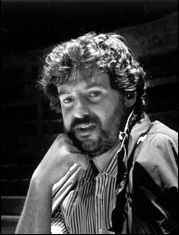 Daniel Teruggi (11 March 1952, La Plata, Argentina) is a French composer. While taking a degree in physics at the National University of La Plata, he also studied music at the La Plata Conservatory (1973–77). He moved to France in 1977 and entered the electro-acoustics class at the Conservatoire national supérieur de musique (CNSM) in Paris, gaining his diploma in 1980. In 1983 he joined the Groupe de recherches musicales (GRM). As a specialist in computer-generated music, he is particularly concerned with teaching, and with the SYTER (système en temps réel) audionumeric system. In 1984 he took over artistic responsibility for the group, and became its director in 1997. He has pursued a parallel career teaching at the Sorbonne since 1986. Managing director of GRM (in 2012).